The purpose of the Student Care Team (SCT) is to provide a regular opportunity for communication between University partners, identifying the resources and support for University of Louisville students who are in need of care, or who are experiencing distress. The vision of the Student Care Team is to develop partnerships across campus and throughout the Louisville community to provide a collaborative holistic approach in response to significant student issues or crisis. A crisis for the purposes of this response plan is an event involving a student that threatens the well-being of one or more individuals or the university community as a whole. A crisis may include personal crises and/or behavioral issues involving individual students or groups of students. The SCT focus is to respond to student needs, attempting to avoid student injury and/or disruption to the integrity of the learning environment. 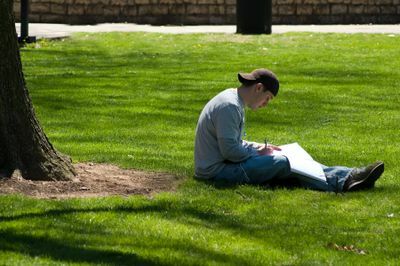 Specific examples may include, but are not limited to: suicide attempts; death of a student; sexual assaults; physical assaults or other acts of violence; transport to hospital related to alcohol, drugs, eating disorders or serious injury; activities or events that may have an impact on the campus community and any personal tragedy or significant event that might impact a student’s ability to stay in school. Respond to a crisis that threatens the well-being of a student, or students. Offer the student(s) appropriate assistance in various stages of the crisis. Share information and resources among appropriate offices as necessary to enhance staff effectiveness and ensure all University resources are made available to students. Serve as a local resource to the university-wide Emergency Response Team in the event of a critical incident. Initiate internal review of the crisis situation and ensure appropriate follow-through and follow up with care plan as needed. Identify student behaviors that disrupt the learning environment. Provide an opportunity for team members to identify trends and/or patterns of behavior that may impact the campus community by sharing information on a regular basis. Be proactive by exploring issues that occur on other campuses or in the Louisville community that could impact UofL students. Advise University Officials on issues related to student crisis and how it may affect the integrity of the campus community and campus climate. Gather and share information about the event, when appropriate. Separate and clarify issues; define terms; identify additional information needed. Identify individuals or groups affected by the event. Assign responsibility for carrying out plans. Establish a single point of contact for a student in distress, when appropriate. Recommend initiation of internal investigation of incidents. Recommend changes in policies and procedures to department directors, the Vice Provost for Student Affairs, or other responsible University representatives. Occasionally, additional resources may be needed to address crisis situations. At these times staff from various University departments may be called upon to provide resources and expertise. These offices may include but are not limited to: Student Advocate, Provost’s Office, Undergraduate Affairs, University Counsel, Prevention, Education, and Advocacy on Campus and in the Community (PEACC), Disability Resource Center, Office of Communication and Marketing, Physical Plant, Assistant Provost for Diversity, Office of Contract Administration and Risk Management, and any student, faculty or staff member who could assist with the situation. Members of the SCT will meet bi-weekly. Any member of the SCT may request additional meetings as needed to discuss pending issues. The regular meetings will be scheduled by the chair. For the SCT to be effective, it will be necessary for members who become aware of crisis situations to inform the other members of the team, even if an individual member of the team has already responded to the crisis. Communication of incidents and issues should be reported directly to the Dean of Students Office. A special SCT meeting will be called as necessary. Employees are expected to respond to student in distress situations based on their existing departmental policies and procedures. When a crisis occurs outside of these normal policies and procedures, employees are expected to contact their department chair or director. If their department chair/director is not available, they should contact the Dean of Students Office. In an emergency situation, ULPD should be contacted immediately. If you have any questions, please contact the Dean of Students Office at (502) 852-5787.